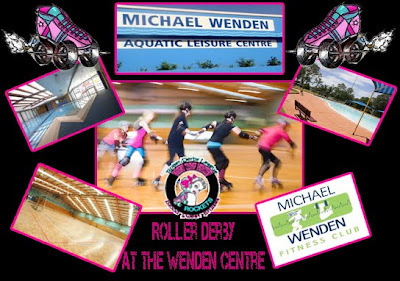 South West Sydney Rockets Roller Derby league have a new home at the fantastic Michael Wenden Aquatic Leisure Centre !! Named after the Olympic swimmer Michael Wenden, the Centre was opened in 1972 and has since become a family sporting and leisure facility. The Michael Wenden Aquatic Leisure Centre is one of "Liverpool's Hidden Treasures" located only minutes from the CBD, the leisure center features a seasonal heated 50m outdoor swimming pool pool with picnic areas, a kiddies pool, a 12.5m indoor heated hydrotherapy pool, a fitness health club, multi purpose rooms plus a two court sports stadium. All New Members Welcome ! !